Canary Birds For Sale – 5 Best Places On The Web! 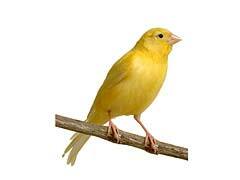 Looking online for canary birds for sale can be a daunting task. With the rampant number of scam sites it is hard to tell who is actually going to do what you pay them for. Buying a bird online is also different than, say, just buying decorative bird cages online. These are live animals, so the merchant needs to have a solid plan for shipping your new pet to you. Online canary bird breeders should have lots of photos and you should be able to ask for up to date pictures of the breeder bird’s cages.